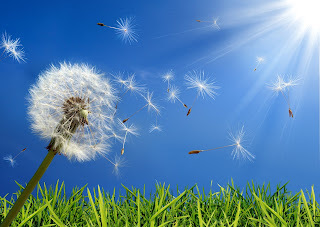 If you suffer from allergies, you may notice that spring is in the air a bit earlier this year. With a warm February, plants and grasses are blooming earlier than normal. Now is the time to start thinking about managing your seasonal allergies – air sealing and ventilating your home can be part of the solution. Properly air sealing and ventilating your home is one way to help reduce indoor allergens. The “envelope” or shell of your home has natural pentration points. These penetration points exist around mechanical and construction materials such as HVAC ducts, chimneys, between building materials (studs, framing, etc.) and more. These points allow air to enter and exit the home, and can draw outside pollutants and irritants into the air inside your home. Air sealing these pentration points helps keep outside air and allergens out of your home. When air leaks around your home are sealed, it’s important to add proper mechanical ventilation. Mechanical ventilation helps your home properly “breathe” and move old air out of the home. Sealing air leaks and adding mechanical ventilation can properly regulate your home, help manage energy bills and maintain proper indoor comfort. Homes have unique ventilation and air sealing needs. It’s important to schedule a consultation with a qualified professional to ensure your home’s needs are properly addressed. Contact us to schedule a free estimate and address any questions you have.